see foster mother ; obsolescent term. is appointed to act in place of or as assistant to lodging house keeper (q.v. ); performs similar duties under supervision. performs the duties of a parent to the child of another for money payment, the actual terms of contract varying greatly in individual cases, e.g. clothing may be provided by either blood or foster parent; must comply with regulations of Children's Act, 1908, as to conditions under which foster children may be taken; must submit to inspection by officers of local public health authority. supervises domestic arrangements, catering and general care of building and visitors to hydro or large boarding house in health resort. proprietor or lessee of house sublet in furnished apartments; provides cooks and serves meals; amount of actual manual work done varies with size of establishment and staff employed. proprietor of common lodging house where beds are let to casual visitors at a low charge; usually takes part in domestic duties of house such as cleaning, bedmaking, preparing. is owner or lessee of a house or building, and sublets rooms or apartments of a house, gives attendance and supplies and cooks food if required. supervises, on behalf of proprietor, domestic arrangements, catering and general care of lodging house, boarding house or hostel and welfare of visitors. 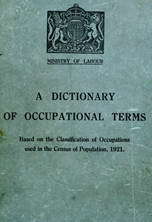 supervises domestic arrangements, catering and the general care of the household of a lodging house, etc. owns and controls private sanatorium; often a qualified medical man, attending patients or residents professionally; selects cases for admission; engages staff; controls finance. manages a hostel or boarding house for a particular class of residents, e.g., students, nurses, etc. ; provides meals; supervises necessary staff.